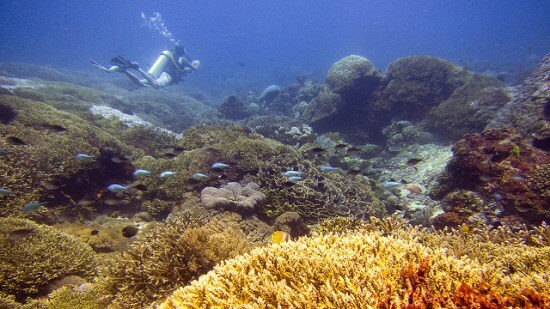 For you, diver and snorkeling lovers, Nusa Lembongan in Bali may be the real heaven. This small island is located adjacent to the Nusa Penida and Nusa Ceningan, offshore the southeast Bali main island. These three islands are separated from Bali by the Badung Strait. For you who want a peaceful or not-so-crowded beach, Nusa Lembongan could be in your next destination. 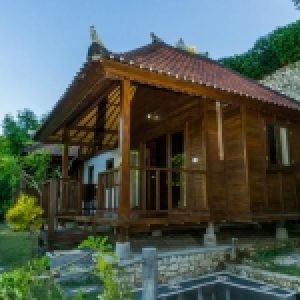 In this post, let me focus on Nusa Lembongan and you can find another posts about Nusa Penida and Nusa Ceningan. 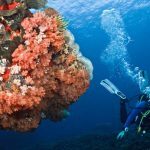 This small island–only 8 square kilometers–has many areas which are good for diving and snorkeling, with abundant marine life diversity and colorful coral. There are several white sand beaches which are never crowded. 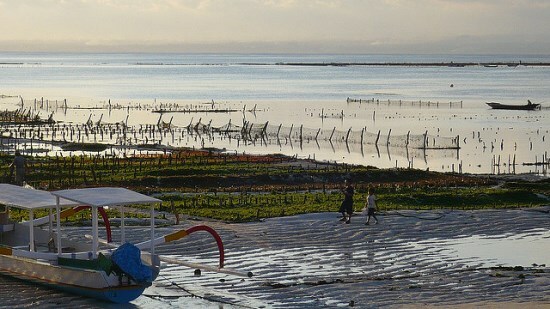 There is also seaweed farming here, and many visitors find it interesting to learn about this. 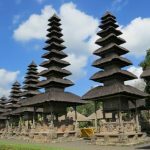 What can we do in Nusa Lembongan Bali? There will be a lot of tourist activities you can do in Nusa Lembongan Bali. There will be plenty of rental services such as snorkeling, diving and surfing. Although this is a small island, but do not think you can walk around the island on foot. The best way to do that is to rent a motorcycle. It costs around 50.000-75.000 rupiahs a day exclude the gasoline. 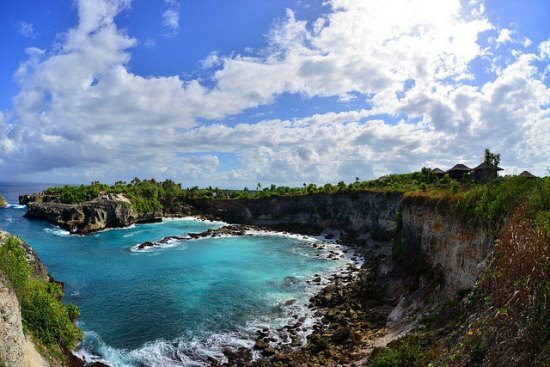 Jungut Batu is located in the northwest of the Nusa Lembongan Island. This is the most attractive area for backpackers and surfers. You can find white sandy beaches here with high waves for surfers. Several years before, south part of hilly Jungut Batu was developed into hotels and resorts, so it is convenient to stay in Nusa Lembongan. Some people say that the view from here is same as the Phuket in Thailand, with a very scenic sunset. Mushroom Bay is a strange and protected bay. 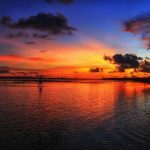 Located in the southwest of Jungut Batu, this area has white sandy beaches, along with some of the restaurants on the seashore. 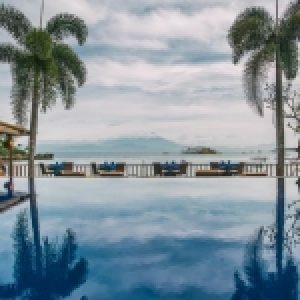 You can enjoy swimming or just sitting on sand and see the deep blue sea ahead. Coastal landscape in this part of the island mostly comes with limestone cliffs, and there are some interesting caves. You can see a beautiful view of the cliff at the right side of the dream beach, especially at sunset. 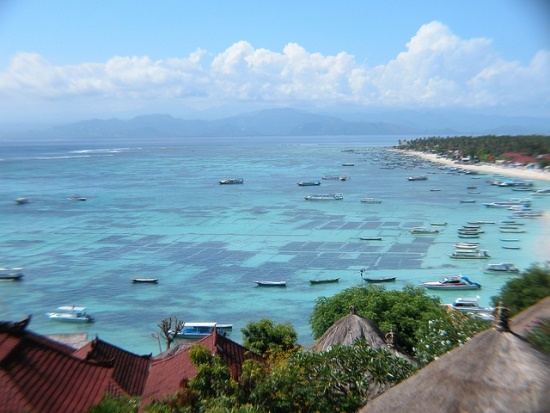 Nusa Lembongan people mostly are fishermen and resort or cruise employee, or diving instructor or tour guides. During your journey in this island, you can see seaweed farming here. Seaweed can only be farmed when the tide is low, so it needs to be cropped when the low tide at two in the morning. Seaweed farmers will harvest them from the dawns until morning. Nowadays, young people don’t want to follow in the path of their parents, working in seaweed farming. They choose to work in tourism, but, I hope we can still see seaweed farming in Nusa Lembongan. 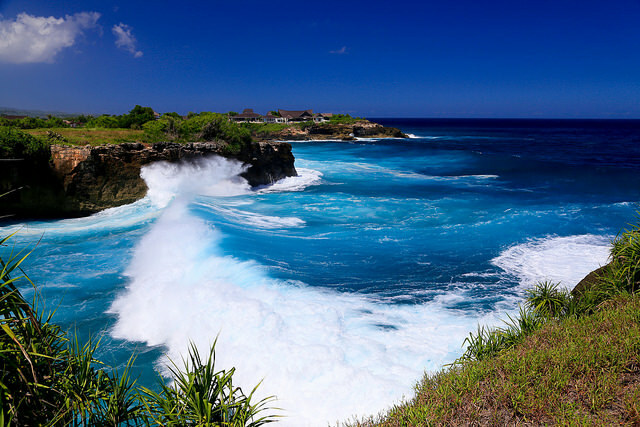 Nusa Lembongan is easily accessed from Sanur Beach in south-west Bali. From the Ngurah Rai International Airport, you can take a taxi to Sanur Beach with rates 100.000-150.000 rupiahs. Then from Sanur Beach, there are several transportation alternatives, ranging from the wooden motor boat (1.5-2 hours) to speed boat (30 minutes). These boats are available from 08.00 until 15.00, will bring you to Jungut Batu Ports in Nusa Lembongan. The price range is from 50.000 to 175.000 rupiahs. Perama, phone: (0361)-750808. Rates 100,000.00. It takes roughly 60 minutes to Nusa Lembongan. Sugriva Express, phone: (0361)-281078. 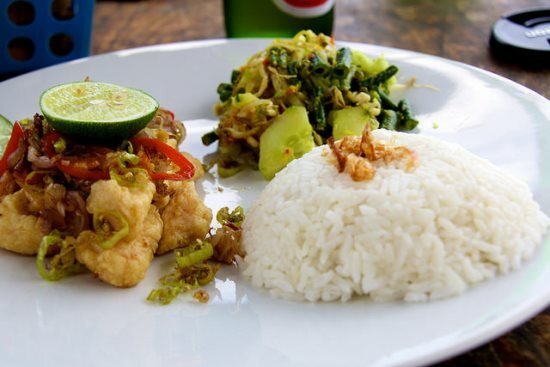 Rates Rp50.000,00 (local) and Rp350.000,00 (foreigners). It takes about 45 minutes to Nusa Lembongan. Scoot Cruise, the most luxury boat. You can call it on (0361)-285522. Rates Rp350.000,00. It takes about 30 minutes to Nusa Lembongan. Besides that, there was several boats from Tanjong Benoa in the south Bali, served mostly as a cruise tour from Benoa-Nusa Lembongan-and back to Benoa. Bali Hai Cruises, phone: (0361) 720331. 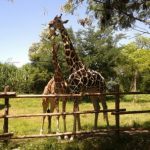 During the journey, you can do many activities such as parasailing, diving, snorkeling, submersible sight seeing to see coral lives underwater. Prices start from $60 for evening dinner cruises. You can reserve your seat with online reservation. Lembongan Island Fast Boat, phone: (0361)-8070181. The fast boat departs from Benoa Harbour at 10:30 AM and 3:30 PM departs and from Nusa Lembongan at 9 AM and 1:30 PM, started from 45 dollars for round trip.